Do you feel flattered when someone asks for your feedback on their writing? Don’t get ahead of yourself – your brilliant wisdom and advice may fall on deaf ears if you don’t deliver it in a way that the writer will absorb. The first post in this series talked about how to clarify the writer’s needs and expectations in this situation. With that insight, you understand what kind of comments to provide. 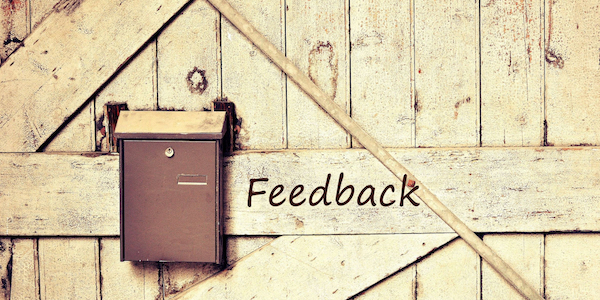 How you deliver your feedback can be almost as important as what you say. Remember how you felt as a student, getting writing assignments back covered in correction and commentary? If so, you can empathize with the writer. Receiving constructive criticism about your writing can be painful. Even if the writer truly wants honest feedback to make the work better, some part of them doesn’t want to hear it. And, if a work colleague includes you in a mandatory review process, watch out. They may be even less open to to any changes you suggest. Your goal: Deliver feedback in a way that preserves the relationship, while guiding the writer to improve the piece. Go ahead and mark up a copy all you want, but don’t dump it all back on the writer. Take a moment to frame the comments carefully, or you may cross the fine line between constructive and negative feedback. Here are a few guides for offering review comments. Many writers take criticism and feedback personally, as an indictment of their skills and abilities. Focus your comments on the project itself, rather than the writer. Instead of this: Your writing style is too formal. Try this: This piece is more formal than the other content the company produces. 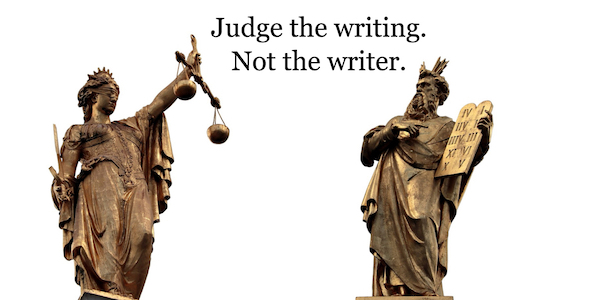 Even if you (privately) think the writing is terrible, don’t tear into the writer. Your job is to help the person make this particular piece better, not to “fix” them as a writer. If the person repeatedly receives and absorbs helpful and constructive feedback, their skills will improve over time. If your feedback falls into this category, present it as your opinion, rather than fact. For example: I find this text confusing. Perhaps the writer’s style plays fast and loose with grammatical rules. That may be an intentional choice. Ad copy, for example, makes effective use of sentence fragments. Filter your subjective responses through target audience’s perspective. If you aren’t part of that target audience, then your personal preferences may not matter. Read that one more time: If you aren’t the target audience, your opinions may not matter. For example, if you’re reviewing a manual intended for auto mechanics and you have never once opened the hood of a car, your subjective responses to the text may be irrelevant. Focusing on the reader also helps the writer think beyond themselves while receiving the feedback. Remember, the content’s job is to serve the reader. Frame critical feedback from the reader’s perspective. For example: Our customers include many people for whom English is a second language. Consider using a simpler sentence structure so they can read and understand this with less effort.